Dodge Zhong Partners, (hereinafter, DZP) was formed by Mr. David A. Dodge, Esq. and his legal research assistant, Ms. Linda Zhong, Esq. subsequent to his appointment as a Professor of International Law at Shenzhen University in 2001. Mr. Dodge began working between the U.S. and China shortly after China joined the WTO. China’s joining the WTO increased business opportunities between two economically diverse nations, the U.S. and China and between many other key global economic players. Competent legal services for complex international business transactions between the two countries grew substantially at that time and that need continues to grow. Dodge Zhong Partners was formed specifically to meet such demand. 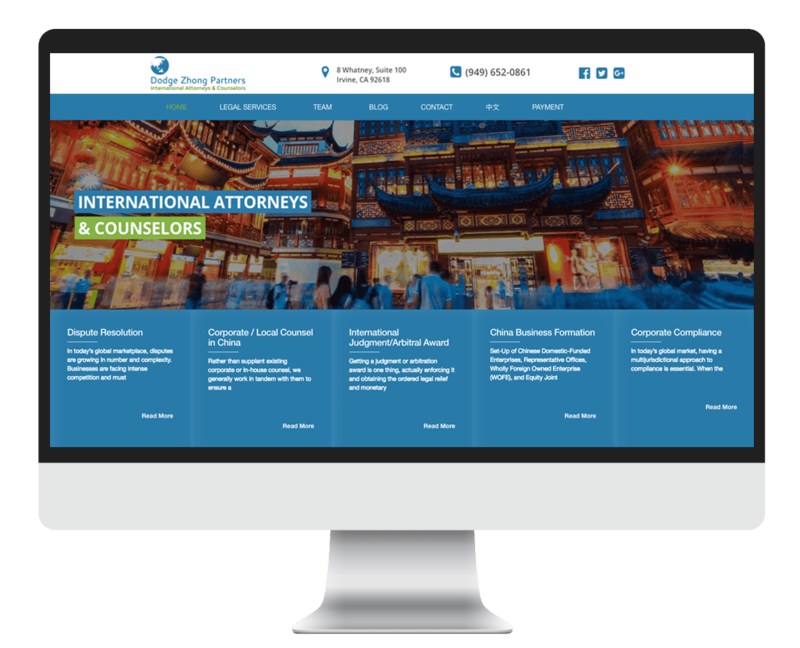 Headquartered in the Los Angeles Area (Orange County), with affiliated law firms in New York, Washington, D.C. and China – Dodge Zhong Partners is perfectly positioned to serve clients in both the United States and China. The law firm is equipped with knowledge and experience in international business transactions, as well as the ability to provide legal services in both English and Chinese. The law firm focuses its services in all matters of private international, commercial and immigration law involving both China and the U.S. We also affiliate with lawyers across the globe including in East Asia, Southeast Asia, Latin America and Europe and work in conjunction with them to provide specialized, global, multi-jurisdictional services to our Clients. Please see our “legal services” link for a detailed list of services. Recently in 2015, Mr. Dodge was nominated by his peers as a Lawyer of Distinction for the 2015/2016 year. Less than 10% of attorneys in the United States are ultimately offered membership. “Lawyers of Distinction” is an organization with members from all fifty states. They recognize the top 10% of Lawyers in the United States by a peer review. ● Assistance in international fraud investigations and litigation involving multi-jurisdictional courts and law enforcement agencies.